My power antenna on my 97 Riv is toast. I'm not really a fan of power antennas, so has any one replaced it with a shorter normal antenna, or just a normal antenna? Or, at the very least, where can I get a good antenna without spending tons of money? I'd rather not have a power antenna though, like I said. I bought a universal at local auto place for $15. No power, works great and easy to install. Only negative is that is does not go down flush to the rear fender so an automated car wash will break it. When my power antenna failed (raise/lower cable broken), I merely removed the motor from the support structure, lowered the antenna, clipped the internal cable, and reinstalled it. I can raise and lower it manually, and it gets just as good reception as it did before. I keep it lowered b/c I usually listen to XM thru the tape deck. It still receives FM decently while lowered. AM not so much. But once extended, it works as well as it always did, AM or FM. It also sits flush, so it is car wash safe. That's a great idea, except my antenna is missing most of the mast as well. Anyone have an old power antenna? Haha. Has anyone considered using an antenna off a GP? They are nice and hidden. there are "replacement" power antennas that you can wire in. 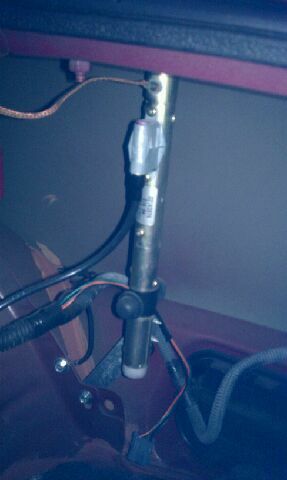 What I did: I got a used power antenna from Ed Morad, moradpartscompany.com, I think he pulled it off a Park Avenue. Why not find a used one? I was just throwing that out there incase people got sick of the eye sore when it's up. makes sense to me - likewise I threw this out there because used power antennas usually go for short money. I got an aftermarket power antenna from an outfit in Florida. Had it for about 6 months and no problems so far. It took a bit of messin` around with the included bracket but with a little imagination , done. Can`t tell the difference except it sounds different going up & down. About $100 delivered to Canada. i covered the antenna hole and painted over. I myself sometimes get sick of this power antennas and am thinking to try without one,but still wanna listen to radio.So what's the best way to not have the antenna up without cutting wires ? Do what i did.my am fm reception is (no exageration) outstanding. You can leave the mast in place in the down position just unlpug it and run the aftermarket antenna direct to the back of the oem radio. no fuss. 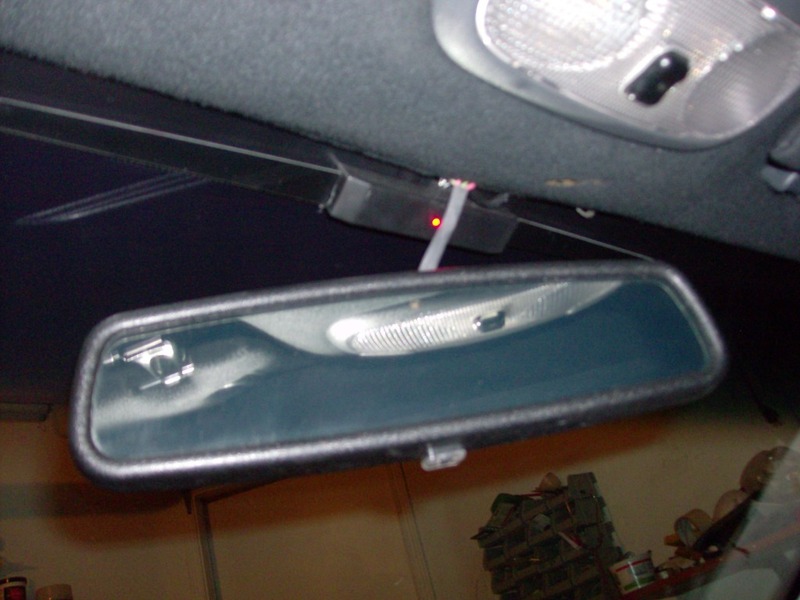 I run mine directly behind the rearview mirror ,hard to tell its there.only a little red led lite to tell you its on. you can get an aftermarket power antenna for about half that, the Metra PW-22. I installed and used one for a while, worked fine, actually sold it and bought a used OE antenna from Ed Morad some years ago (once I figured out why the original broke in the first place). I am currently running the OE antenna. Robo's solution will work just fine. It's what you'd call a "dipole" antenna, appears to have a built-in amplifier, dipoles they are kinda directional but in the direction aimed will receive signals from a lot farther away. My guess is it's a 1/2 wave dual helical dipole. If matched right to the radio those things will pick up a 10 watt FM station at about 5-6 miles depending on terrain. The roof of the car forms a "ground plane" - don't mount it too close to the ground plane. 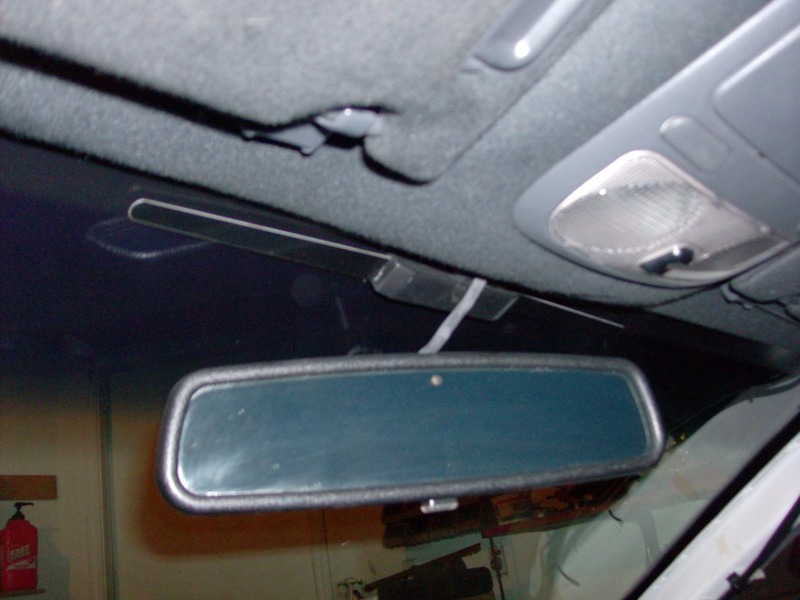 Behind the interior rearview mirror an inch or so below the roofline should work great. I wonder if there is a good chance it'd work acceptably mounted behind the grill or under the front or rear bumper skin if you can get it about an inch away from the metal bumper reinforcement, if it is slim enough to fit. I can't tell from the picture, and maybe not such a great idea behind a metallic or zinc-laden paint. They say mount it anywhere, I would not be so fast to do so. Maybe in a window or behind a plastic body panel. or maybe along the top of the rear window or in the vicinity of a side marker light. It looks like it would have to be kept away from any ground plane (hood, trunk, roof, fender) somewhat. In general, the higher an antenna is placed, the better. If you measured you'd probably be about an inch below the metal roof panel. Interesting-interesting...I don't care for all the radio stations, but want to have some radio.Only now I think when the antenna's up looks ugly a bit,so that's why I'm thinking of trying it without it. unplug the oem antenna. do plug in an aftermarket antenna like mine or other. you NeeD an antenna if your going to listen to the radio. Went with the Jegs, antenna, put the antenna on the windshield, but over by the passenger side. That way could feed the ground wire to one of the screws for the passenger visor. Note: the antenna did not fit in the radio, needed an adapter "Motorola to GM Antenna Adapter, Motorola type connector to GM mini plug" P/N 64-3025, MFG Philmore. The radio seems to work fine, nice to have a red power light on the antenna. Just a thought. Has anyone tried melting the nylon cord back together? I just tried it, but I can't report on weather or not it works because I mucked up the position sensor. Motor only runs for like 2 sec on startup/shutdown. I wonder if this kit would work with our antennas? For a couple bucks more you could just get one of those universal power antennas. For that price I don't think it would be worth trying to fix it unless you had to have the original antenna. Comparing it to our antenna internals, it looks like it may work. Maybe go to a junkyard and pull an antenna off of a Seville, see if it's the same. Back in the 80's and 90's I replaced several of these antenna masts when people would break them off. If the motor works well, then it is a good repair. The motor works on a circuit breaker that senses when the mast is fully retracted or extended. You will need two people to install the new mast. One to hold and guide the mast in and one to cycle the radio on and off repeatedly until it goes all the way down. If my memory serves me, removing the antenna bezel nut allows removal of the old mast and cable. The new unit should come with instructions or possibly our fsm has this info. Good luck! Subject: Re: Antenna replacement, Aftermarket?